Prevent your bird from plucking out its feathers with a fabric cover! Measure your bird. Draw the shape for the vest on a piece of fabric, then cut out the shape with three straps along each side. 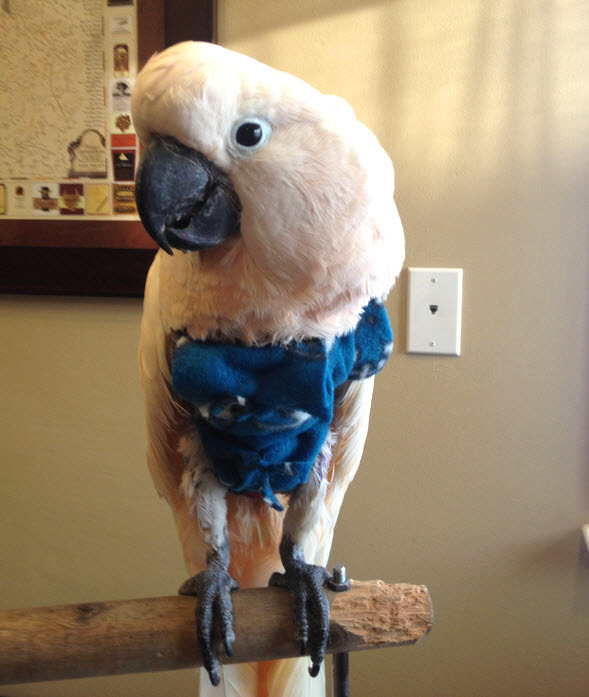 Sew additional pieces of scrap fabric onto the vest at the locations where your bird may try to bite the fabric, and consider sewing a chamomile tea bag into the padding to help soothe your bird while it wears the vest. Put the vest on your bird and tie the ends of the straps together to hold it in place.